I've always argued that the depiction of libraries on film is more cinematically complex than most librarians acknowledge. But whether metaphors, visual shortcuts, or locations for unexpected drama, libraries in movies are usually just that - libraries. Examples in which they stand in for something else are rare. But they do exist. Interior scenes of the reinstated Irish parliament were shot in Trinity College's 1937 Reading Room for Michael Collins. 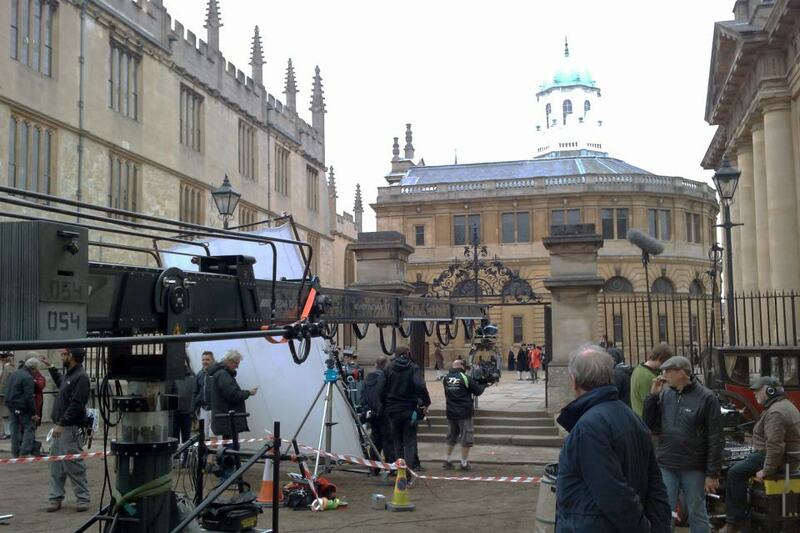 And though Oxford's Bodleian has been filmed a number of times, it has rarely ended up as a library on-screen. The court bounded by the Schools Quadrangle, Sheldonian Theatre and Clarendon Building (pictured below) has been anonymized by its ubiquity. In Tinker Tailor Solider Spy, in X-Men: First Class, throughout Inspector Morse, and in Brideshead Revisited, actors cross this quad going about their business, going anywhere but the library. The surrounding seventeenth- and eighteenth-century buildings in Headington stone could be almost anywhere in Oxford. Perhaps the Library authorities are more welcoming to filmmakers than the Colleges - today a website encourages enquiries. The Headington quarry also supplied the limestone with which Eton College and Windsor Castle were clad. Indeed, Hollywood seems that all of England's buildings were hewn from it. Harry Potter's Hogwarts library is, in fact, the Bodleian's Duke Humfrey's Library, its infirmary the Library's Divinity School. The Divinity School also featured as the lobby to the House of Commons in The Madness of King George. Nearly all of the Bodleian's buildings, and many surrounding streets, stood in for early-modern London in Terrence Malick's overlooked The New World. 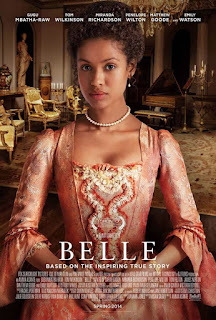 So it is with Belle, an eighteenth-century period drama due to be released later this year. Belle is the only film I've witnessed being filmed outside a library. All day long horses and carriages trundled up and down Catte Street, a filmic simulacrum of London in the 1760s. What are we to make of the illusion? Perhaps it simply adds another layer of complexity. Location scouts and cinematographers are able to look beyond traditional associations and reimagine libraries, usually successfully, as alternative architectural spaces. Perhaps librarians could learn something from filmmakers? I just found your site when I was looking for movies with large libraries. The first one that I could think of was Beauty and the Beast. LOL I love your site! Glad you like the blog - thanks for the positive comments. Beauty and the Beast is on my list of films to write up, so hopefully I'll post about it before too long.